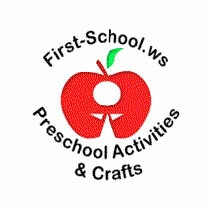 First-school website is targeted to teachers in the form of fun and entertaining crafts and activities. All of the resources are printable and free on the site. Themes of the activities include the alphabet, health and hygiene, physical activity, coloring pages, dental health, the Food Guide Pyramid, math and numbers, gardening, holidays, and the seasons. The underlying theme of all of the activities is health, well-being, and nutrition. The website is user-friendly and easily translates to Deutsch, Italian, French, German, Spanish, Portuguese, Japanese, Korean, and Chinese by a link at the bottom of the homepage. However, some concepts and meaning can be lost in automated translation. Have fun with our children’s book corner, another great way for toddlers, preschool and kindergarten aged children to learn about nutrition, health, cooking, gardening, and fitness.